Cypress Outpatient Surgical Center is the premier destination for ocular surgery in Monterey Bay Area. Founded in 1984 by the pioneering vision of Drs. Adams and Mckenzie, it was designed from the ground up to provide the highest quality for our patients from the preoperative area to the operating room to the recovery area. This early vision has enabled us to provide a consistent quality of excellence to our patients by allowing the surgeons to choose the most advanced surgical equipment and implement the newest therapies and procedures. Cypress Outpatient Surgical Center is licensed by the California State Department of Health Services, is Medicare certified, and has been awarded the certificate of accreditation by the Accreditation Association for Ambulatory Health Care, Inc. (AAAHC). Our surgical center uses the most advanced equipment to allow our surgeons the best results. 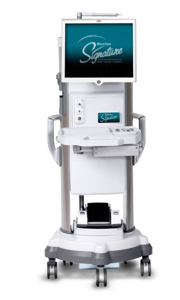 Our surgical equipment includes the state of the art Whitestar Signature Phacoemulsification System. In addition we have the newest intraocular lenses, equipment for glaucoma treatment, and endoscopic viewing of the eye structures. We have caring anesthesiologists that make our patients comfortable and safe for our surgeries. Our Laser Suite also allows for treatment of posterior capsular opacification after cataract surgery, glaucoma, and diabetic retinopathy. Cypress Surgical Center continues to have the highest volume of cataract surgery in the county due to our fusion of excellent outcomes, compassionate staff, and wonderful physicians.